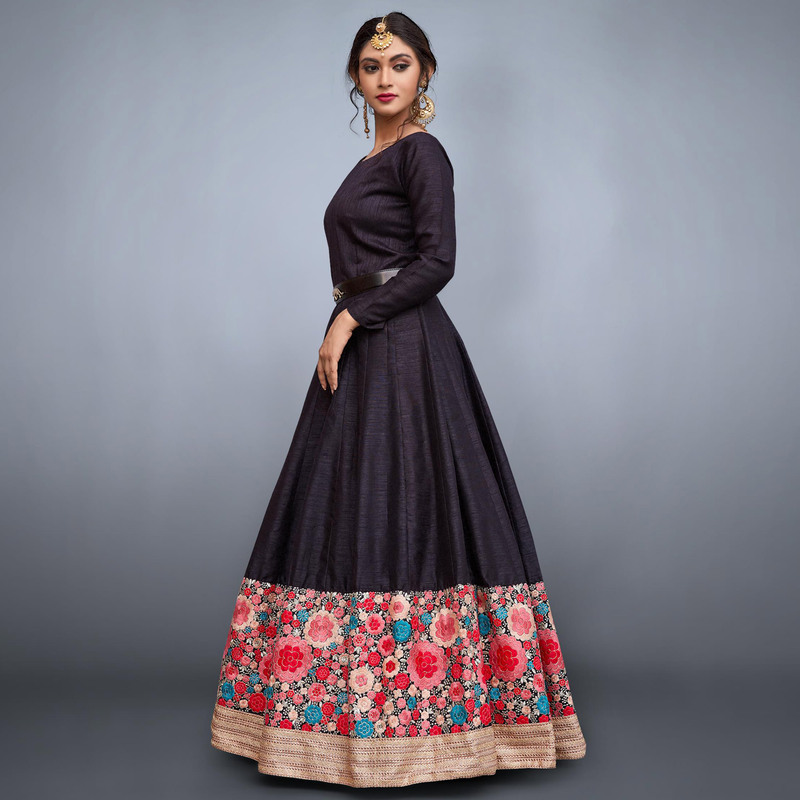 Vogue and trend would be on the peak of your splendor when you dresses this stylish black colored floor length anarkali suit. 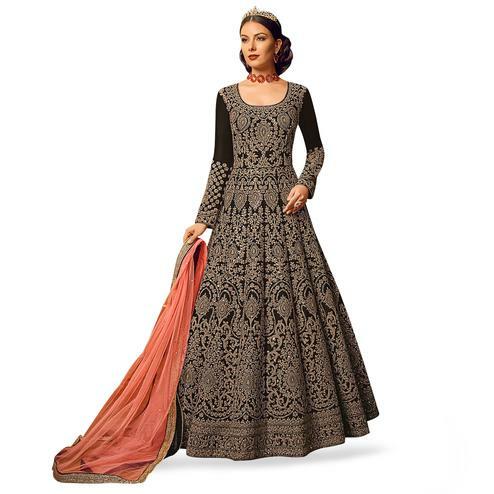 The splendid thread embroidery done throughout the outfit is bound to make you look more enchanting. 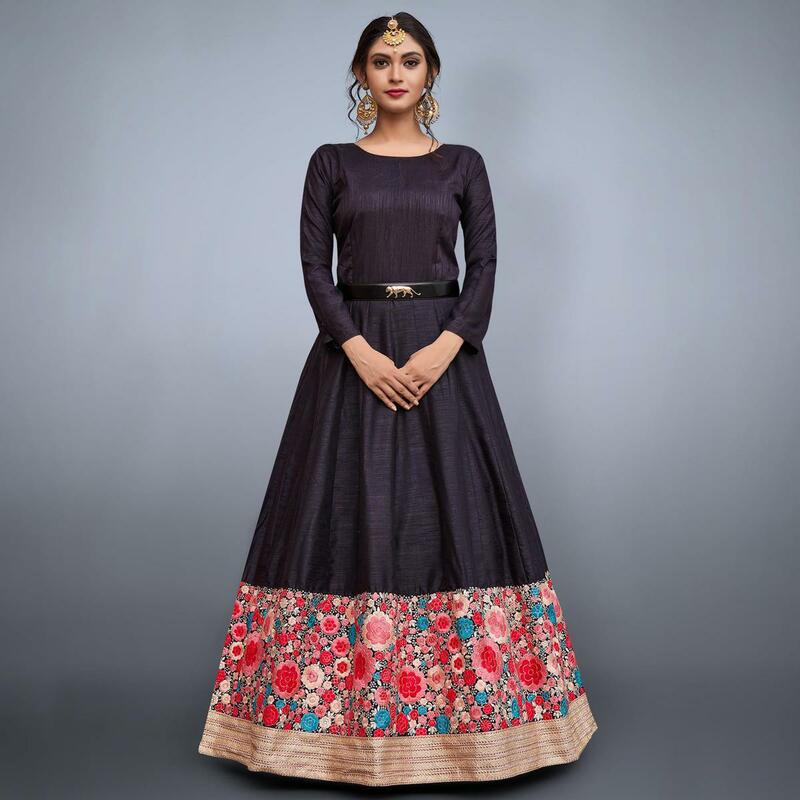 The semi stitched suit is made of art silk fabric. This suit is comes along with matching colored art silk bottom and netted dupatta. Suitable to wear for wedding functions, engagement ceremony and special occasions. Pair it up with classy accessories and heels to make your look more attractive. Get this dress now before it's gone out of stock.